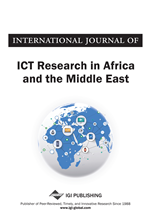 This study sought to investigate on the access and use of mobile phones for improving the coverage of agricultural extension services among farmers in the pre-harvest stages of maize value chain in Kilosa district. The study examined the use of mobile phones as a means for improving the coverage of agricultural extension services. The study adapted a cross sectional study design and a multistage sampling technique. Data were mainly collected using structured questionnaires. The results revealed that majority of respondents used mobile phones and had a positive attitude on the contribution of mobile phone in their farming business. The study results also indicated that mobile phones offered an affordable solution to farmers' information needs and information requirements. The study concluded that the use of mobile phone to communicate agricultural information depends on information needs of farmers. The study recommended that farmers need to be encouraged and supported to access and use mobile phones in their farming business. Agriculture is one of the major sectors of Tanzania’s national economy which contributes about 24.0 percent to the Gross Domestic Product (GDP) in addition to the other sectors of mining, industry, and tourism (Osberg & Bandara, 2012). The agricultural sector employs over 75 percent of the population which constitute majority of the poor small-holder subsistence farmers who utilize about 85 percent of the land cultivating not more than 2.0 million ha (Sibuga, 2008).The agricultural sector in Tanzania has continued facing a number of challenges including poor agricultural extension services resulting in low performance, low levels of production, low output quality, and a low contribution of the sector to the national socio-economic goals, underutilization of available resources, poor quality food products that lead to weak competitiveness in the international market and poor implementation of legal and regulatory frameworks (POPC, n.d). The agricultural extension services mainly aim at providing knowledge; information and technology that farmers would require to improve their productivity and quality of their lives and livelihoods (UN, 2005). The agricultural extension services in Tanzania are mainly funded by the Government despite the presence of private sectors, Non-Governmental Organizations (NGOs), and farmer-led initiatives which have been supplementing extension service delivery of the public extension services through cost-sharing (Kapange, 2010). Nonetheless, Rutatora and Mattee (2001) observe that these experiences have not improved the quality of extension services which have been considered to improve the agriculture sector in Tanzania. Because of financial difficulties faced by the Government, the allocated budgets for agricultural sector do not support sufficient visits by field extension staff to farmers. Consequently, the agricultural sector has continued to perform poorly leading to low yields which are insufficient to raise people’s income and promote food security among the households in Tanzania (Kapange, 2010). In an attempt to improve provision of agricultural extension service, some countries such as Pakistan, India, Brazil, and the United States of America have opted for the use of Information and Communication Technology (ICT) (Katz, 2002; Hassan & Semkwiji, 2011). It is observed the agricultural sector has improved in those countries through the introduction of ICT in the Agricultural Extension Services (Hassan & Semkwiji, 2011; Siani, 2012). Furthermore, it is reported that the introduction of mobile phones services in agricultural sector in Pakistan, India, Brazil, and the United States of America has enabled farmers and other actors in the different value chains to receive high amount and quality of the agricultural extension service. In addition, the speed of services delivery has been improved significantly as a result of mobile phone intervention (Thomson, 2006; Buys et al., 2009; Aker & Mbiti, 2010; Goggin, 2012; Acker, 2011; Etim, 2012a; Etim, 2012b; Etim, 2013c).